As a teacher, you have the unique opportunity to teach and inspire your students to be goal-oriented, compassionate, confident and ambitious. Anna Unkovich, a former teacher of thirty-five years, made a difference in her students' lives through the daily use of stories from the bestselling Chicken Soup for the Soul series. As a teacher, you have the unique opportunity to teach and inspire your students to be goal-oriented, compassionate, confident, and ambitious. Anna Unkovich, a former teacher of thirty-five years, made a difference in her students' lives through the daily use of stories from the bestselling series Chicken Soup for the Soul. For many years, Unkovich read these stories to her students and noticed remarkable changes in them, both academically and personally. Recognizing that today's teenagers have more challenges in finding positive role models, she teamed up with bestselling author Mark Victor Hansen and veteran teacher, inspirational speaker, and bestselling author Jack Canfield to create an unprecedented educational curriculum for teachers to use to empower their students in the same way that they have. Unkovich chose the most inspirational stories from the more than one hundred Chicken Soup books published. These stories, activities, and plans will enhance your existing curriculum. Designed to be read aloud to students, each story is accompanied by thought-provoking questions and exercises specifically designed and used by the authors. Your students will identify with each of the powerful stories and will be encouraged to apply the lesson plans to their own lives, challenges, and situations, and at the same time improve their critical thinking and writing skills. 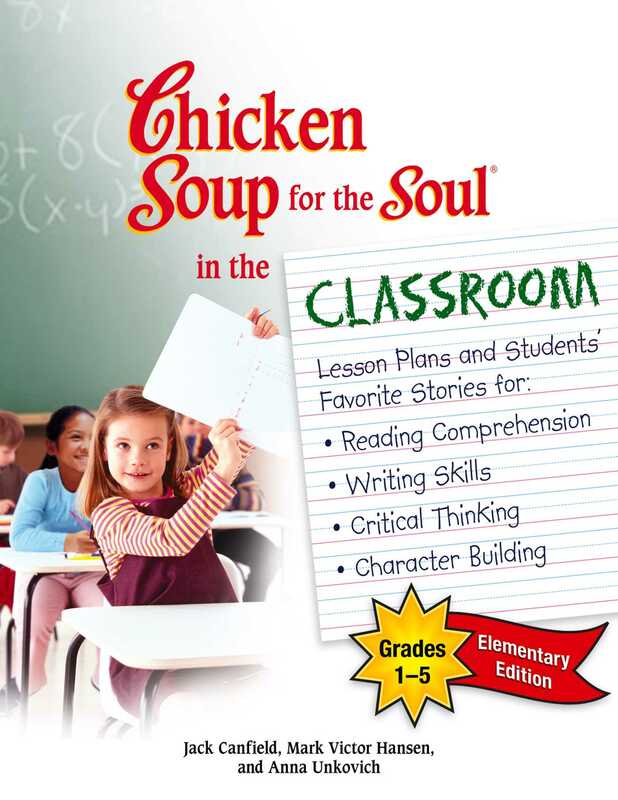 More important, unlike other curriculums, Chicken Soup for the Soul in the Classroom educates and provides opportunities for open dialogue on real-life issues, including character building and self-esteem.